The oil palm industry generates biomass amounting to millions of tonnes per year. Currently they are converted to liquid or gaseous fuels to produce electricity as a replacement for natural gas. This contributes to substantial reduction in energy costs and is more environmentally friendly. Other applications of the fibre rich biomass includes the manufacture of paper and pulp, fibreboard, acoustics control and blankets for horticulture. The present study attempts to produce composite foam made from natural rubber latex and oil palm trunk fibre. Physical and chemical properties of the foam were evaluated to explore potential application of the composite foam. The oil palm trunk fibre increased the density and hardness of the composite foam at a 20 % fibre loading. 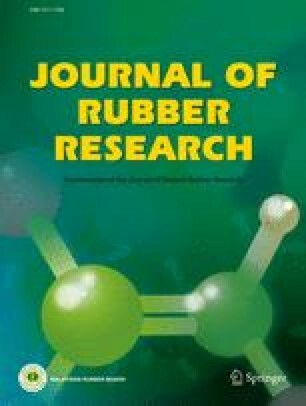 However, no reinforcement effect was observed between the fibre and the natural rubber latex foam. The composite foam showed increased water absorbency and decreased oil absorbency capacity.